I am celebrating my 20th year of working as a Nurse! Funny some days I don’t feel much older than 30 yet we all know that can’t be true. I chose the field of Nursing after having some of the most patient, kind, competent and caring Nurses tend to me at the young age of 14. My friends were out playing softball, riding bikes, eating what they wanted to, when and where they wanted to. I was “quarantined” in this small Pediatric ward of a great big hospital awaiting a diagnosis for the insane stomach pains, nausea, vomiting and diarrhea. No, not a Pepto Bismol commercial although I wish it had helped! I remember how excited I got to hear the “jingles” of someone’s very large key set in the hall outside my room. It was my dad, Roger. He worked as an electrician in the hospital and would come up to see me for coffee, lunch and in between if he could. Anyway, with tubes in a few paces of my body, blood tests, drinking chalky white barium before spitting it up all over the x-ray machines we finally learned that I had “Inflamatory Bowel Disease” or Crohn’s Disease. Really??? Took all that time to figure out and my uncle Dennis, dad’s brother had it for years already! Anyway this is the story of those nurses who not only came in with smiles on their faces when I had a very smelly commode chair to be emptied or had puked in my wash basin, but went the extra mile to offer me a back rub with some lotion. You might think, oh yeah, those were the days with better staffing ratios before cutbacks ect.. But you know what, it only takes a couple minutes and can be coupled with your assessment of pain, skin integrity, mobility and so much more. We are in a very unique position to help others beyond the medications we administer and dressings we tend to. We can help the person, their mind, heart and soul in their most vulnerable time by giving them a couple minutes of your undivided attention to listen to them, or just be silent and appreciate the silence as you help to alleviate a little pain, or re-hydrate some extremely dry skin! I am grateful for the nurses back then over 25 years ago who helped me, and those only 6 weeks ago who helped me again – and yes I got a back rub recently too! I am proud to have chosen nursing as a career path and am blessed by the encounters with all of my patients over the years. 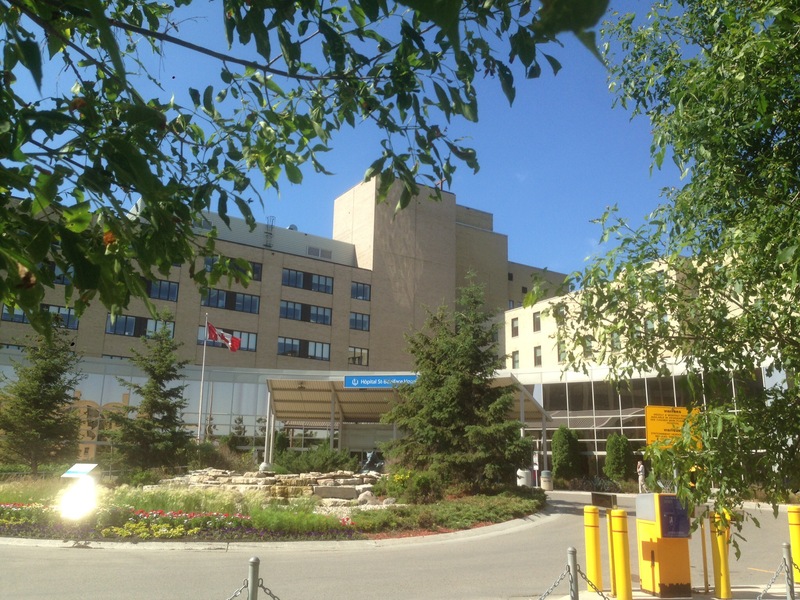 I’ve been working as the Pediatric Endocrine Nurse Clinician in Winnipeg, Manitoba, Canada for over 17 years now, plus did home care for over 10 years, camp nursing for 25 years now (started as a student) and even worked as a paramedic for over 10 years within all of that! Anyway, back to the present where I have the opportunity to assist families through education and support as it relates to their child’s hormone issues, maybe due to birth defects, tumors, genetic conditions, or so much more. I am very passionate about self-acceptance as I’ve written before. Here I have children (patients) of all ages, sizes and genders (including transgender) who struggle with self-acceptance and deal frequently with teasing and bullying! I kind of get part of it, having been so sick as a teen with no fat on my bones. Multiple “noisy” and “smelly” trips to the school washroom where of course you were never alone! Plus, my puberty was delayed thanks to the illness so I never really fit in with the “other girls”. I remember feeling completely alone in grade 9. Sitting at my desk in the middle of the classroom and having nobody talk to me. You see, I had a small crush on a boy I’d been friends with since we were maybe 4 years old. When I told a friend about it, I learned another girl had a crush on him too and somehow that was it, the switch that turned the entire class against me ~ or so it felt at the time to my 14 year old mind. My mother, Angel, taught me resilience, to get writing my thoughts in a journal and find someone new to hang out with. I did, it was not easy, but I developed an amazing friendship with a girl from 8th grade. We remained friends for almost 4 years – then you guessed it, another boy pulled us apart. Or I should correct that to “we lacked the skills to talk through our feelings and move to forgiveness and heal our friendship”. Anyway, my point is that we will all have things that make us feel crappy, and question ourselves and our self-worth. I have shared many a resource with my patients around self reliance and dealing with bullies ect.. Yet we found there was not much out there for the younger child. Encouraged by some colleagues once I mentioned that writing a children’s book was on my “dream board” and the story was already written in my head… I got started. I had a weekend planned with a very good friend for a scrapbooking retreat. I brought my scrapbooking supplies and a very large water color pad of paper, sketching pencils and watercolor pencils. 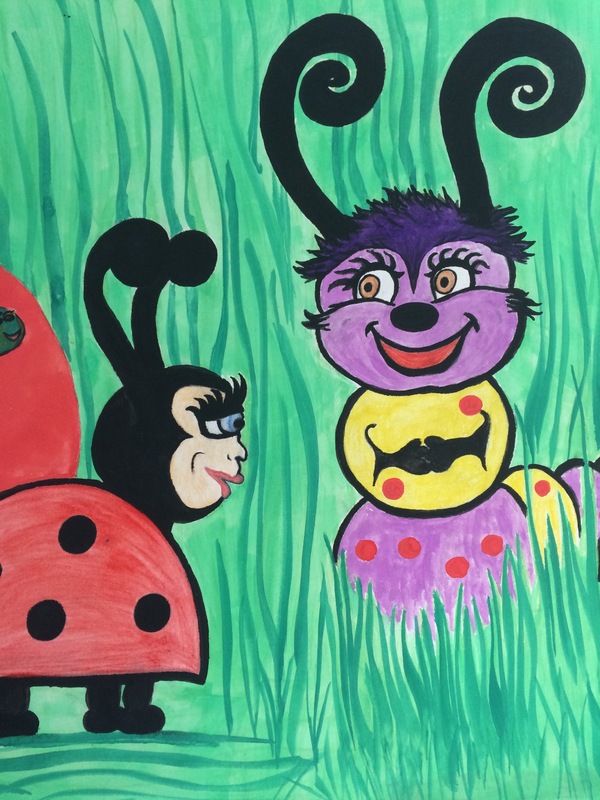 I did 2 scrapbook pages and spent the other 20 hours designing Layce the little caterpillar who stars in my book titled “I am Unique”. I love to draw, color and more recently paint. I’m not trained in it and some have given me bad reviews about the book because of it perhaps! But as my mother always taught me if people are mean, they are just jealous for some reason- and who knows maybe there is truth to that yet! This is my creation for my patients, my kids and hopefully thousands of young kids to see and learn from. 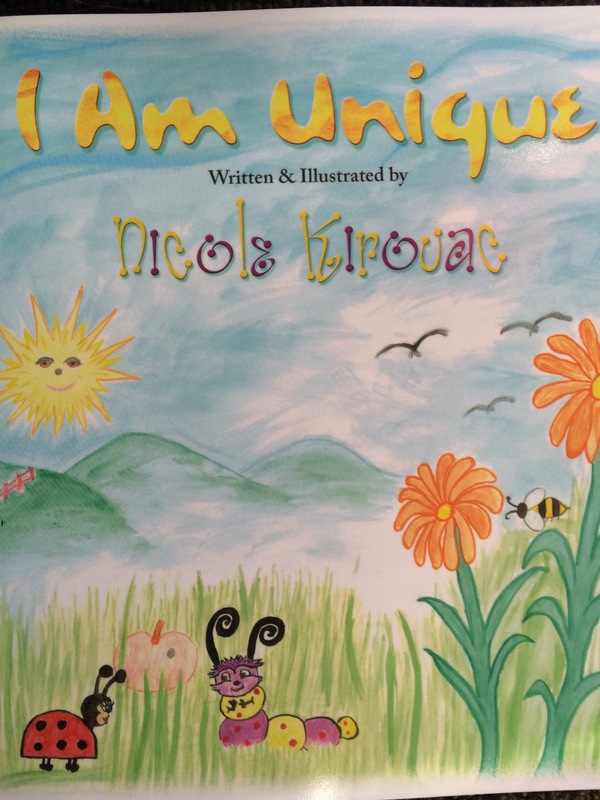 This is a little story that teaches that we are all unique and that’s ok! I’ve also just gotten it locally to the Forks Market Trading Post and Lower Fort Garry! I hope over time that this story and many more will help to teach our children from a very young age that they are amazing and should celebrate that daily! The finished product in soft cover all glossy! About 160 hours of fun put into this little creation of mine. Reblogged this on Inspiring Uniqueness. ← The start of something amazing!